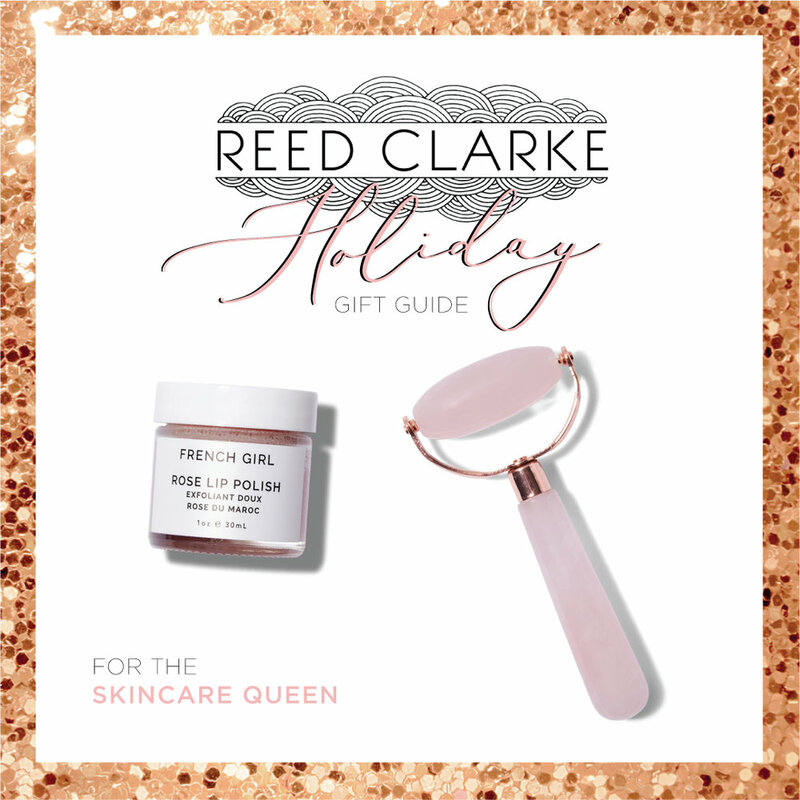 We’re so excited to roll out our Reed Clarke Holiday Gift Guide over the next couple of weeks! Our awesome gift pick for the Makeup Lover - Jenny Patinkin brushes! Buy one, or buy a set -these ultra luxurious brushes will seriously change your beauty game. Hand made in Japan incredibly soft, Fiona Stiles has selected her favorites from the collection. They will quickly become the most valuable tools under the tree this year. We’re having a rose moment with our perfect presents for the Skincare Queen. Take skincare to the next level this season, and treat your BFF to the gorgeous Jenny Patinkin Rose on Rose Quartz Face Roller. Don’t forget our fave French Girl Organics Rose Lip Polish for kissable lips all holiday season. You never know who will be under the mistletoe! What do you give to the beauty guru who has everything? Grab a Reed Clarke Gift Certificate!